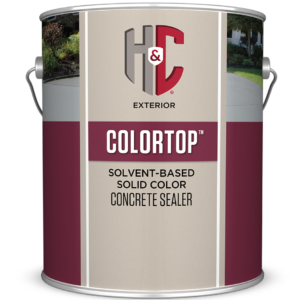 OUR BEST SOLID COLOR CONCRETE STAIN. Hundreds of colors available to be tinted to, exclusively at Sherwin-Williams! 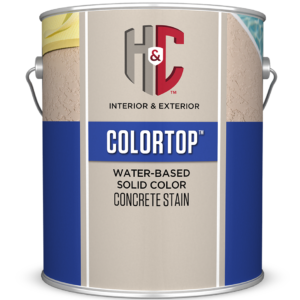 H&C® HEAVY SHIELD™ CONCRETE & DRIVEWAY ENAMEL / STAIN is a solid color water-based stain designed to add deep penetrating protection and long-lasting beauty for both exterior and interior concrete. 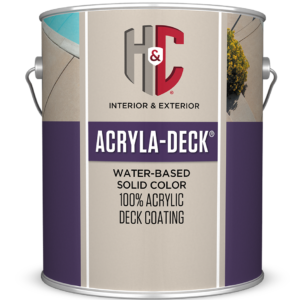 H&C® HEAVY SHIELD™ formula resists tire marking and hot-tire pick up, provides excellent adhesion and abrasion protection, and chemical resistance while delivering a quality water-based stain that withstands vehicular traffic.